The Choir School of Delaware and the Delaware Historical Society are collaborating on the first Wilmington Bach Festival to occur May 12 and 13 at the 1798 Old Town Hall on Market St. A talk, Advent of an Old Master: The (Very) Short History of Bach in Wilmington, by Brenton Grom, of the Delaware Historical Society will open the festival on Friday, May 12, at 6:30 pm. Advent to Easter at 7:00 pm on Friday. Suites for Unaccompanied Cello at 4:00 pm. The Choir School of Delaware will sing Das is Wholgetan! 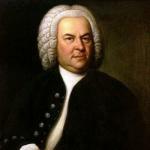 Cantatas BWV 170 and 99 accompanied by Baroque orchestra at 7:00 pm. 302-543-8657. The price for an individual event is $25. Tickets for all four programs are $60. Tickets for the two Saturday, May 13, concerts are $45. Proceeds will support education programs for Red Clay and Christiana students.